It was dusk and we were just setting up our tents, having had a long day hiking about 19km with our camping gear, food and water in our packs. It was very satisfying for our three boys, Zach (13), Eli (11) and Cadel (9) to see how much distance we had covered on the third day of our hike. 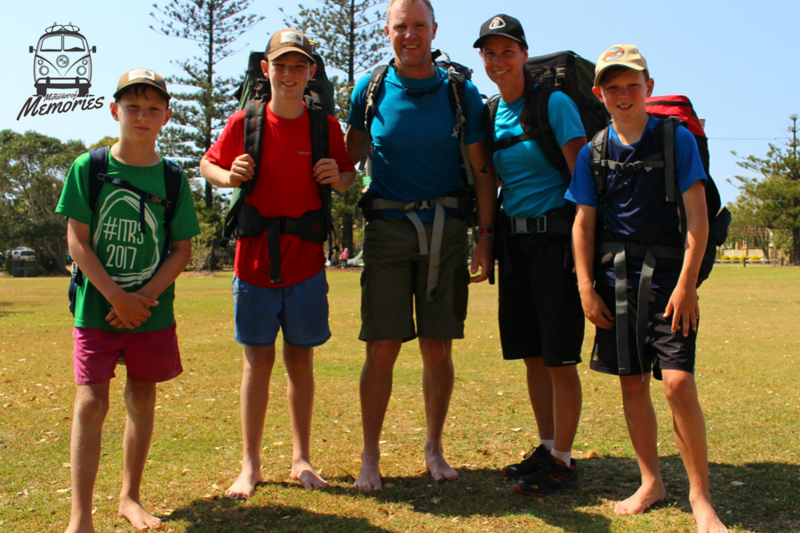 It was spring school holidays and Scott and I had found the perfect adventure for our family – the 65km Yuraygir Coastal Walk, a five day hike along the longest stretch of protected coastline in Australia. We started out at the small coastal village of Angourie and headed south to Red Rock, journeying through the traditional homelands of the Gumbaynggirr and Yaegl Aboriginal people. The hike was made up of long stretches of sandy beaches, heathland plains, tidal rock shelves and headlands with amazing views of whales breaching off the coast. Some stretches are remote and we felt like we were the only people in the world. There’s nothing better than when your sets of footprints are the only ones on the entire beach. The wildlife and birdlife were abundant. We saw osprey and black cockatoos and we had kangaroos around our camp one morning. The kids loved spotting coral and colourful creatures in the rock pools as we hiked on rugged rock shelves. We kept an eye out for the endangered Coastal Emus but we weren’t lucky enough for that. A highlight for the boys was the start of our last day when we had to cross a crystal clear creek at high tide. We waded through chest-deep water with our packs on our heads. It was exciting and that’s what the boys love! We all enjoyed the challenge of the multi-day hike and Scott and I were most pleased by how the boys watched out for each other and helped each other, growing closer together. 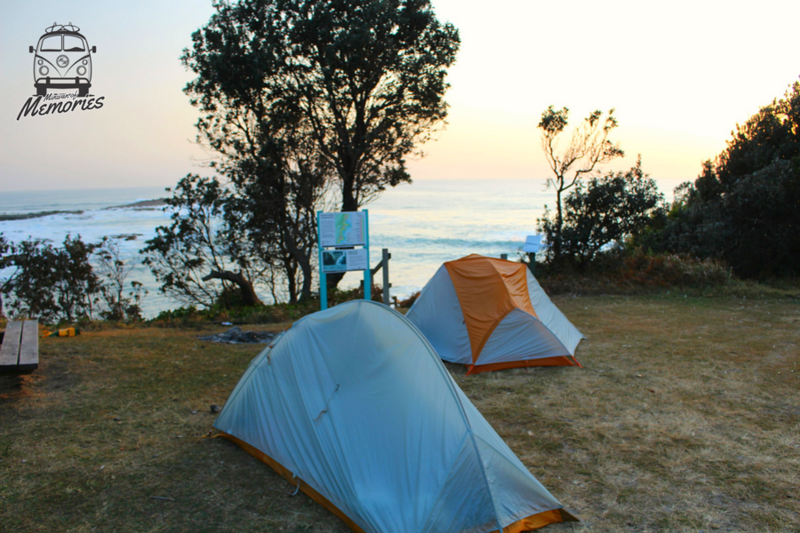 Our advice for travellers wanting to take on the Yuraygir Coastal Walk is not to be put off by the logistics. You can just complete a shorter section or there is a commercial company who can provide support to suit your needs. This memory belongs to our Passenger Sons of Adventure (@sons_ofadventure ) . All the pictures belong to Sons of Adventure's personal archive. To know more about our Passenger Sons of Adventure, click here.